Yesterday, I attended the UEFA Champions League knock-out match between Tottenham Hotspur and Juventus, at EE’s invitation. The event presented a world first in sports broadcasting: a live feed using the HD and HDR format to a smartphone. BT Sport’s match coverage in 4K comprised 24 cameras, 17 of which had native support for HDR content. Images from the remaining cameras were converted to the HDR10 format. 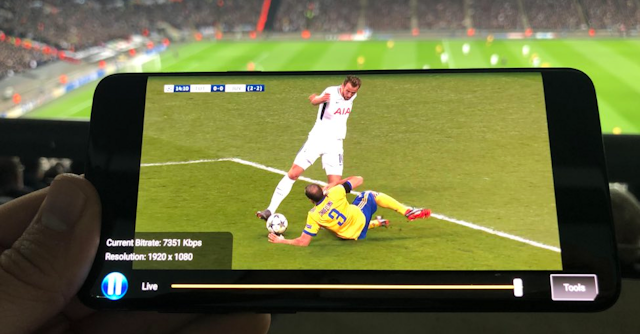 A video stream in HD and HDR was then delivered to the newly announced Samsung Galaxy S9 through the BT Sport app. Significantly, this was transferred over EE’s existing LTE network rather than a new network. In my opinion, this proof of concept was a success. Being a 4K aficionado I was sceptical at first, but the project worked very well in a congested network environment and the picture quality was superb. Based on my experience, a combination of HD and HDR is likely to be better suited to smaller screens. Not only does it provide an excellent image quality, it also brings lots of other advantages. In particular, broadcasting a live stream in HD and HDR needs far less bandwidth than 4K content; about 7 Mbps rather than 16 Mbps to 20 Mbps for 4K. Consumers will use less data and gain a better viewing experience when relying on a mobile connection. For mobile operators, it would seem that the economics of delivering live video in this format makes more sense than in 4K. Within a short period of time BT Sport has continually brought novel features to the UK broadcasting market. 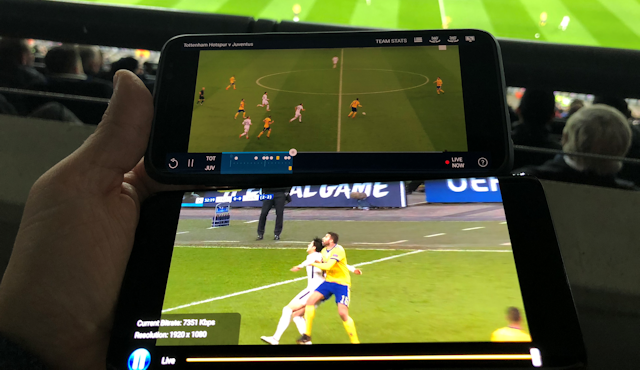 It was the first UK broadcaster to launch 4K broadcasts, Dolby Atmos and, in 2017, the world’s first linear HDR broadcast, when it showed the Champions League final in HDR streams using three standards: Hybrid Log-Gamma, Perceptual Quantizer and Dolby Vision. It also screens major events live in 360-degree format on its BT Sport app. This latest move reaffirms BT Sport’s technological leadership and sets a benchmark for network operators and new players looking to offer video and TV services in other markets. This is also the first of what I believe will be many cases where it will gain from being part of the BT group, by using its parent’s extensive fixed-line and mobile networks. We note that EE is starting to bring BT Sport further into its huge retail presence, marketing messages and price plans. However, BT has so far failed to maximise the opportunity BT Sport presents. Given escalating content costs, it must do more to take full advantage of what I think is an extremely valuable asset. The latest Premier League UK rights auction is a testament to the ongoing challenges the company faces: it’s spending more money per match, but ending up with fewer games and the unloved Saturday lunchtime slot (see Instant Insight: Premier League Announces First Auction Winners). These rising costs have led BT to scale back its broader aspirations. It must now consider making BT Sport available on more platforms and services and use it to attract subscribers. After all, it established itself as a strong number two after Sky in the race to secure rights to show Premier League matches. Previous bidders including the likes of Setanta have tried and failed to compete. I’d like to thank EE for the kind invitation to attend the match and witness BT Sport’s latest innovation. And, of course, I was also delighted with the final score. The Netflix of Gaming Knock, Knock. Who’s There?